What can an Axiom Propeller do for your narrowboat or barge? The Axiom Propeller offers a narrowboat a number of key improvements in the way the boat travels through the water, stops and reverses. The Axiom Propeller is able to stop a narrowboat within its own length, without the unpredictable "prop walk" that can cause problems in shallow water. The propeller's symmetrical blade design provides dramatically improved stopping distances and also gives the narrowboat controllable reversing. With an Axiom Propeller fitted, the handling of the narrowboat will become precise, smooth and responsive with a minimum of wash and wake. Axiom Propeller's aim is to improve boat handling, safety and enjoyment through the use of a technologically advanced, reliable propeller. Axiom Water Propellers Limited is an independent, family owned company based in Northamptonshire which has been manufacturing propellers for narrow boats, barges and yachts across the world since 2008. Axiom Propeller's aim is to improve boat handling, safety and enjoyment through the use of a technologically advanced, reliable propeller. The patented symmetrical blade design of the propeller is the product of more than 20 years research and development in marine propulsion resulting in a technologically advanced, reliable propeller, proven to produce significant fuel savings. 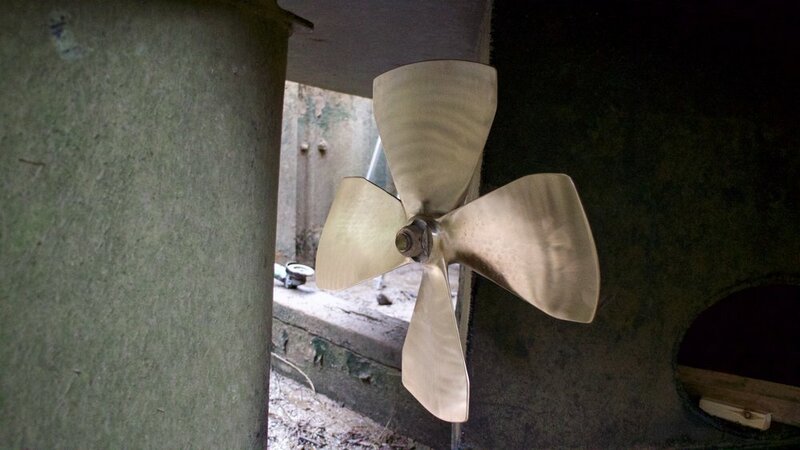 The Axiom Propeller is manufactured using the highest quality materials to suit individual requirements and is available for all displacement vessels and propulsion systems. The patented symmetrical blade design of the propeller is the product of more than 20 years research and development in marine propulsion resulting in a technologically advanced, reliable propeller, proven to produce significant fuel savings. The Axiom Propeller offers a narrowboat a number of key improvements giving greater control in the way the boat travels through the water, stops and reverses. With an Axiom Propeller fitted, handling of a narrowboat becomes precise, smooth and responsive with a minimum of wash and wake. The propeller's symmetrical blade design provides dramatically improved stopping distances making it possible to stop a narrowboat within its own length minimising unpredictable prop walk. The Axiom Propeller is manufactured using the highest quality materials to suit individual requirements and is suitable for all narrowboats and propulsion systems.